Laundry can be super overwhelming. With six kids, it feels like we are drowning in the clothes… BUT these laundry hacks will help. Laundry does not need to be a dreaded task. 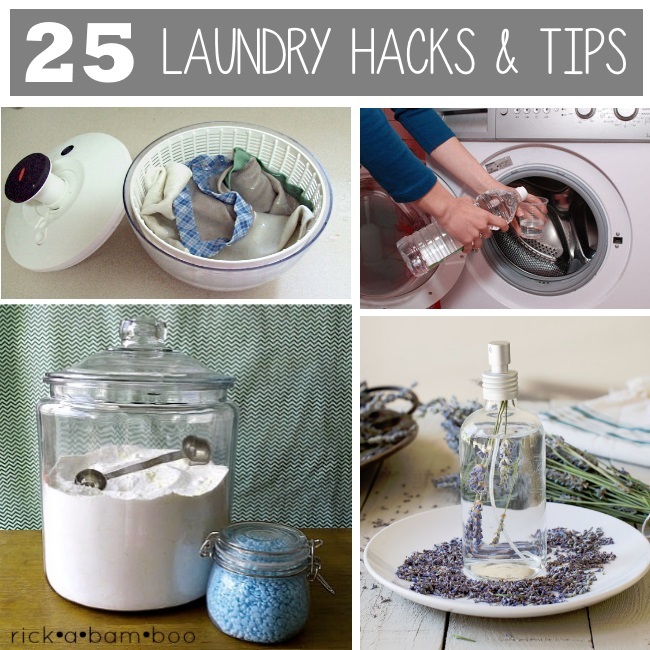 Be more efficient and have more fun with these hacks and DIY Laundry Recipes. Use dryer wool balls, they help cut down on dry time. Don’t have any? 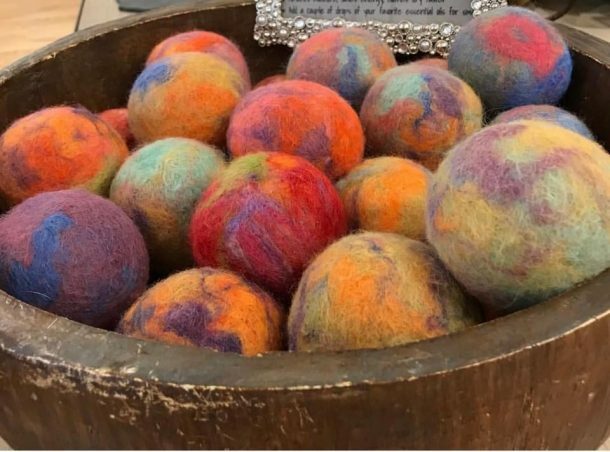 These Alpaca Dryer Balls are all natural, hypoallergenic and save money as they cut down on dry time and can be used for months. Your clothes can’t get fully clean if your washer is gross and gunky. Keep the build-up at bay with these washer cleaning tips. A recipe we have just begun to love is homemade Laundry Paste. The stuff is thick, creamy, great for stain treatment… and we have only done a few loads with it so we will need to let you know in a few months if it leaves a residue. Another great homemade laundry detergent recipe uses Ivory. Looking for a fresher scent without all the chemical additives in fabric softener and additives?? Try this Lavender Linen spray. Say goodbye to wrinkles. Use this homemade wrinkle release spray. Fritz, shake, wear. So easy! When your whites aren’t as bright, you can use bleach, sun dry them, OR make your house smell super fresh by boiling them with a sliced lemon. Are your towels musty smelling? We add two cups of white vinegar to our towel load every other month to keep them fresh. Another towel trick: Add a dry fluffy towel to a load before you put it in the dryer. Your clothes will dry faster. Don’t throw away the old laundry detergent containers. Re-purpose them and create watering cans from them to feed and fill your garden. The slight soap residue will help keep the bugs away too. Make a sock puppet. All you need are buttons and some scraps of yarn. Re-purpose your old socks to become swifter covers. Genius! Got a laundry basket? Check out all these fun things you can do with a laundry basket. Socks are the worst! We are constantly finding mate-less socks. Put a bin up on your wall to collect socks while they wait for their pair. Use a brightly colored sponge and a big bottle of fabric softener to create reuseable dryer tabs. Cut a sponge into strips, soak them in fabric softener, wring them out and drop one into the wash. Store them in a bin next to the dryer and reuse. 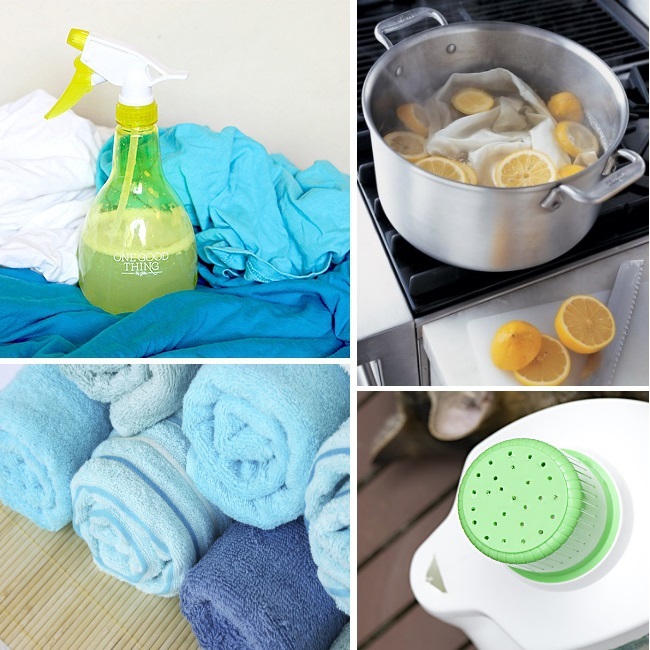 You will use a fraction of the softener and your clothes will still smell fresh. Don’t forget what items you can’t put in the dryer. Use a dry erase marker and write reminders to yourself on the lid of your machine. Add a magnet to your marker and keep it on the machine. No more banging! This is brilliant. I hate the sound of banging shoes. You can tie a knot in the laces and hang them outside the door as this tutorial explains to limit the ruckus. If that doesn’t work, get one of these handy dryer door bags. 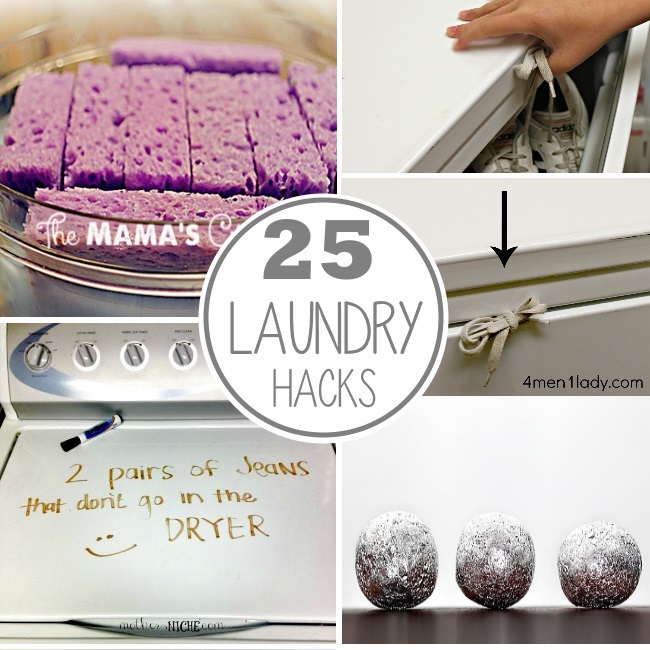 You can also eliminate the need for dryer sheets with balls. You can buy some dryer balls or make your own using bunched up aluminum foil. They cut down on the static AND help your clothes dry faster. Organize your laundry room with a basket system. It’s brilliant, especially for families. Fill each basket with a type of clothes – then wash and you have the clean clothes already sorted! Move it up. Add a shelf below your washer and dryer for the baskets of clothes waiting to be washed. Put it in a closet. 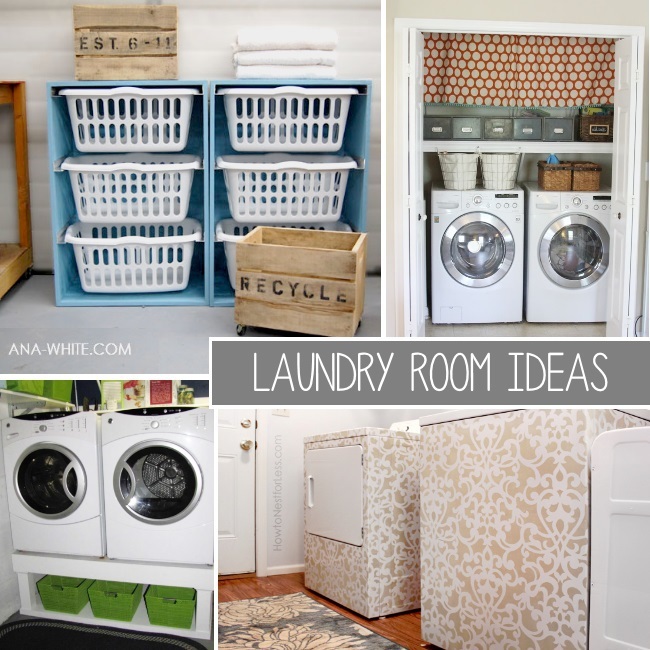 Alternatively, you can also use a curtain to hide some of the clutter that laundry rooms tend to accumulate. This is super cool… washing machines are so drab and when they work there is no reason to buy a new one, just for style. Love it. Paint and stencil them to liven up your decor! Maybe you have a crib spring sitting unused in your garage too! Free up space on your surfaces and make an overhead drying rack. You can also create a drying wrack for items you can’t put in the dryer with a hanging ladder. 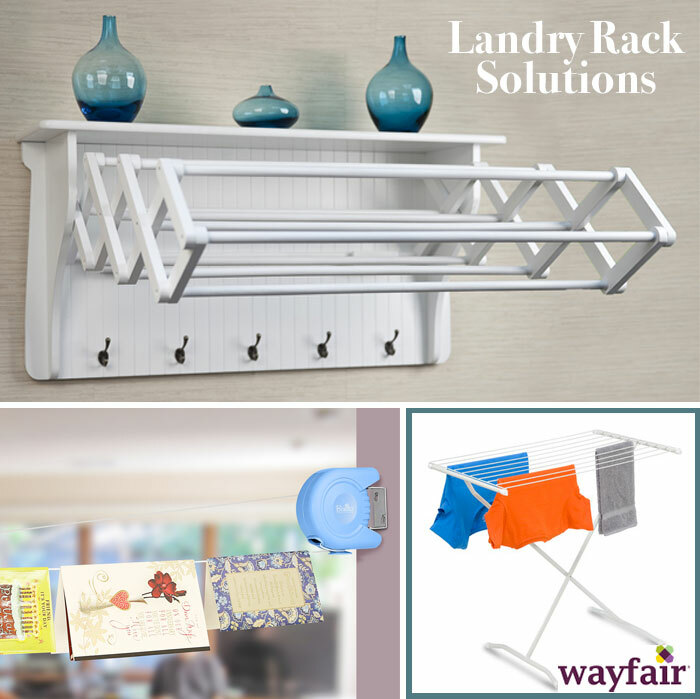 If you have extra wall space, this option of a drying rack might work well. Create a fold-down wall unit. You can store it against the wall when you don’t need it. 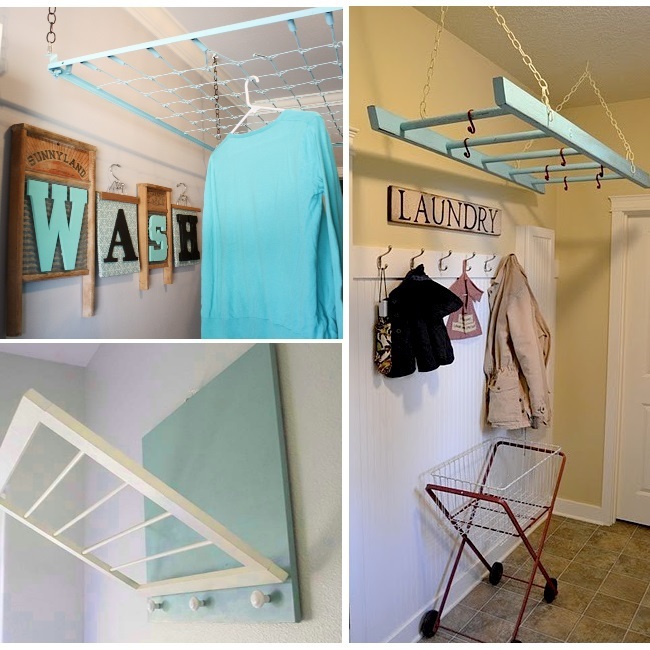 Air drying your laundry is such a great way to conserve energy, these three drying racks are pretty cool. This decorative shelf with according drying rack is a favorite laundry accessory that also makes for a pretty decor accent. The Delight clothes line attaches to a wall and can be removed at any time so you can hang your clothes, dry them and then put the clothes line away quickly. The folding drying rack is a simple solution that works wonders! 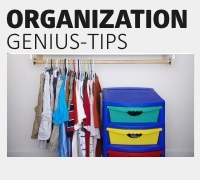 Just unfold it, lay the clothes out to dry and when you’re finished, fold the rack back up and stash it away easily. Here is a solution for all the orphaned socks we discover when washing the kids clothes. Have a basket for them on your wall. Put the solo socks their until their mate appears. Still have socks you can’t match? 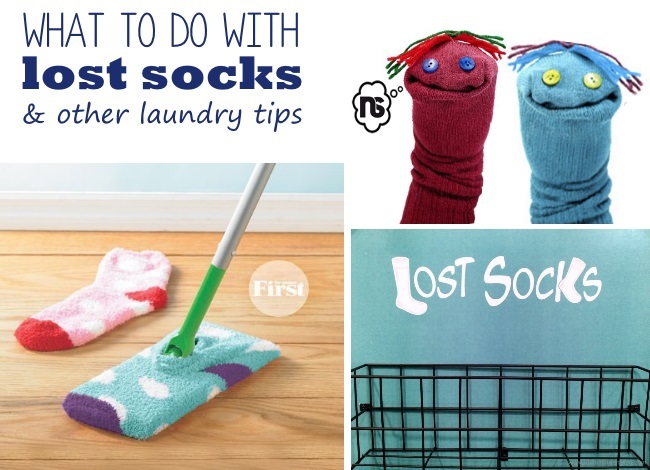 Your kids can either wear them mismatched… or you can create cute sock puppets. All you need are buttons and bits of yarn. Super simple laundry trick that really works! 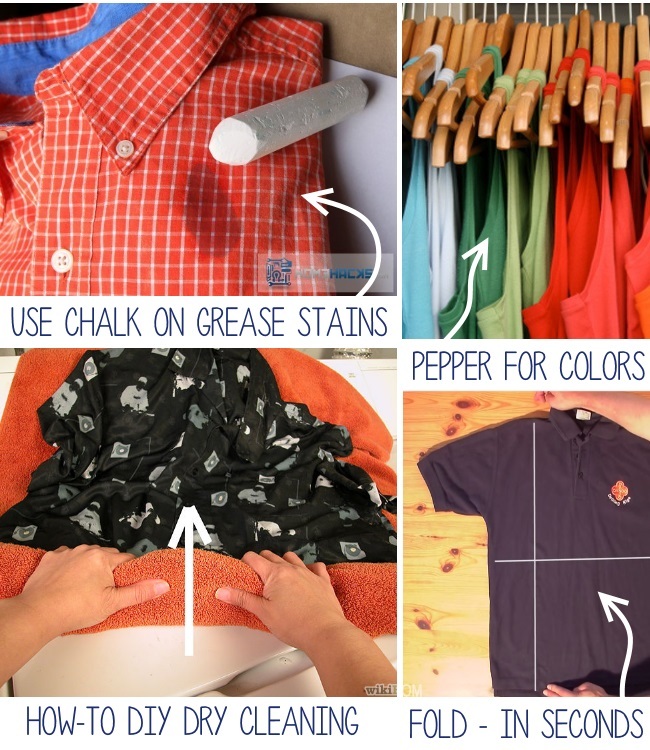 Use chalk next time you spill butter or grease on your clothes. Pepper to the rescue. The spice in the back of your cupboard can help keep your wash bright. Add a tablespoon of the spice to your wash and the colors won’t bleed. 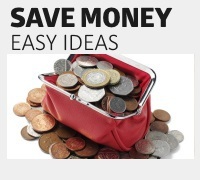 Save money and do the dry cleaning at home. Here are a couple of ways that you can clean your clothes without a trip out. Folding clothes can be a drag. Honestly, I have mostly given up on the concept… but this technique has given me hope. You can fold shirts in mere seconds beautifully, every time. Genius! JOIN THE CONVERSATION ON OUR FACEBOOK PAGE FOR MORE TIPS!